Those of you who know me well in real life understand that I’ve spent the last five years falling through the high-energy rabbit hole of Italo disco, the ’80s music genre that combines New Wave synth, disco beats and delightfully broken English. It’s not a phase. This is just who I am now, and I’ve spent more than a few quiet nights wandering around YouTube, clicking from one video to the next in hopes of finding some new (to me) track that I can like ironically and then not ironically and then force my friends to listen to. Last night, I found something that made all that clicking worth it. No, it’s not a particularly memorable song, even. I know, I know — this is a lot to take in. Foremost, it doesn’t seem to be a joke. 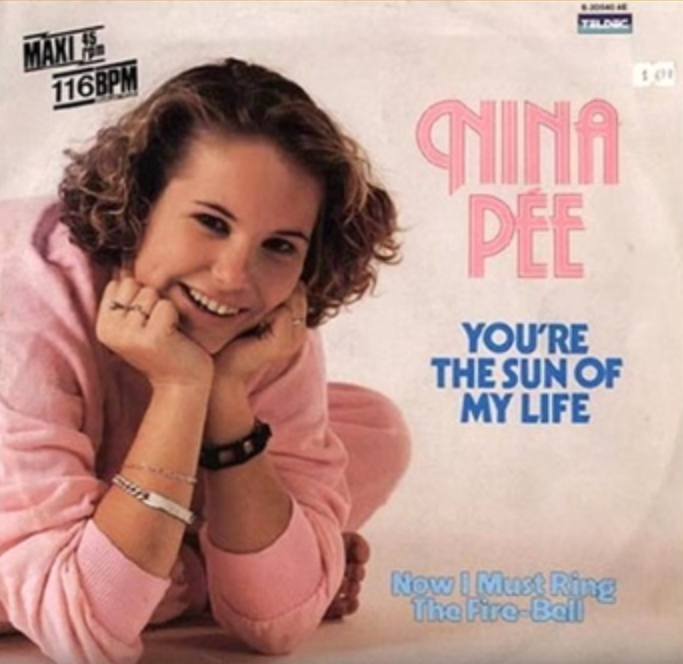 I have found very little about Nina Pee online, but nothing about her music seems to suggest that this name was intended as anything other than a legit, appealing name for Europe’s next big pop star. It’s like “Ding a Dong” all over again, only with the poorly chosen word being baked right into the artist’s name, inescapably. Producer: Hey, Nina — what’s your last name? Producer: Oy. That’s going to look like dogshit on an album cover. What if we abbreviate it? Nina: Yeah, cool. Whatever you decide is fine with me. Producer: BTW, I don’t understand American slang at all. Look at that pose. Notice how happy she is to be a person who sings. She’s practically bursting. Unfortunately for her, because her last name is Pee, it’s hard not to imagine her bursting with pee instead of bursting with happiness. Consider that this, apparently, was the best photo they got from the shoot. This amuses me to no end. I shall hold Nina Pee in my heart always. Last night’s Italo disco adventures also turned up that video that your parents made, but it’s Nina Pee who has told me that I am, in fact, moving in the right direction.